Congratulations to country legend Conway Twitty, the first artist to make the Bad Album Cover Hall of Fame twice. 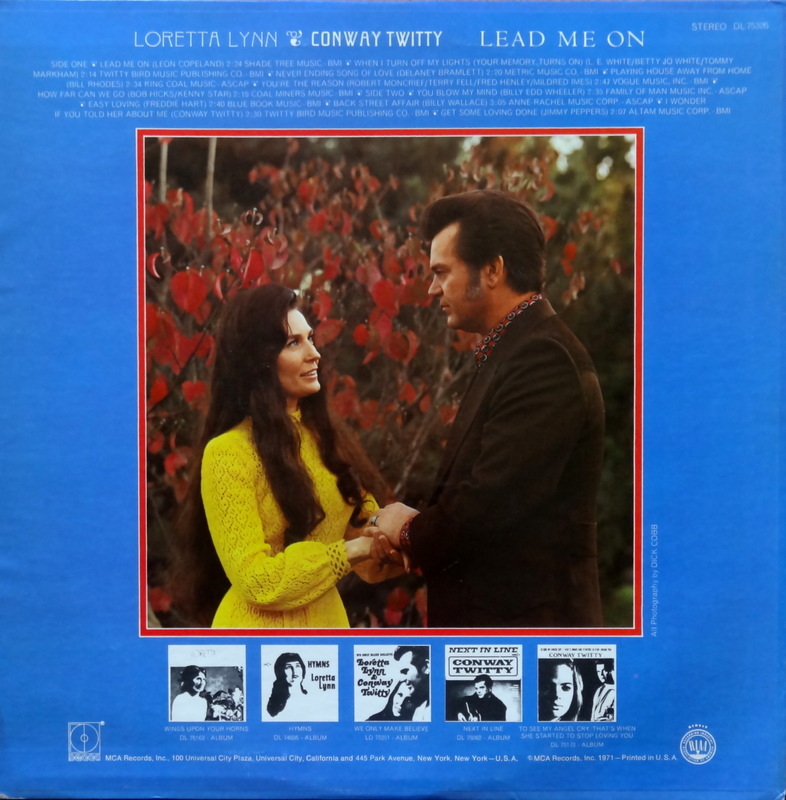 Today we’re looking at Lead Me On, the second in a string of Conway-Loretta duet albums released over a 16 year period. Of those 11 albums, eight made the top 10 on the Billboard country charts and four hit number one. That’s an impressive run. But Loretta doesn’t look too sure so early in their partnership, does she? 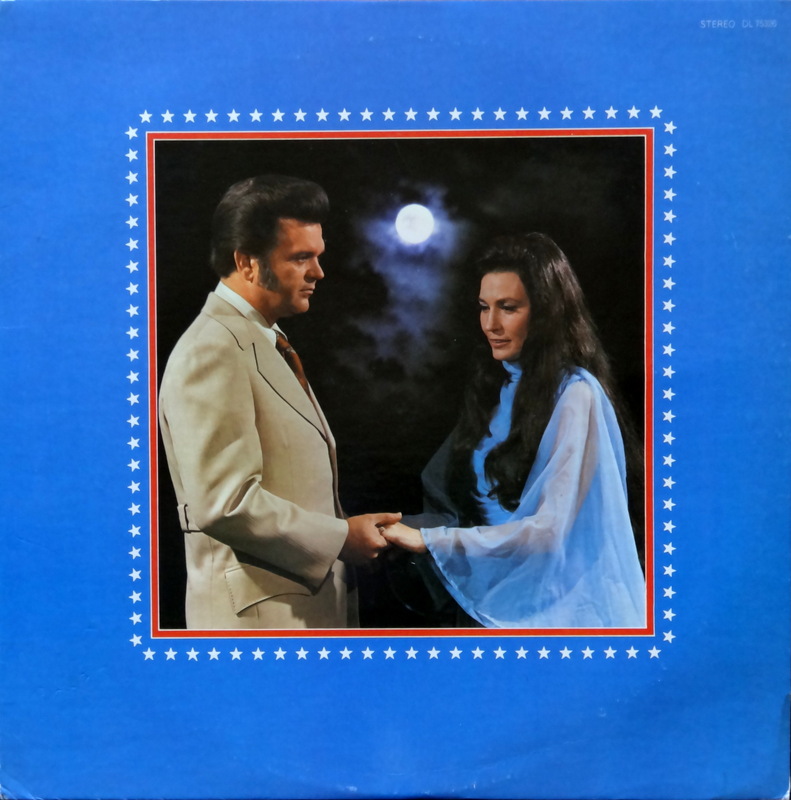 In fact, she looks a bit like a hostage, or perhaps she fears that Twitty is about to turn into a pompadoured wolfman beneath the supernatural influence of that full moon. The scene is awkward, uncomfortable, and a little eerie, but that’s okay because it’s framed with a big dose of America. Miss Loretta looks a bit more relaxed on the back sleeve. I can only assume she’s thrilled that she survived Conway’s manic lupine feeding frenzy.